Ready for another fun Fashion Friday from Cents of Style? 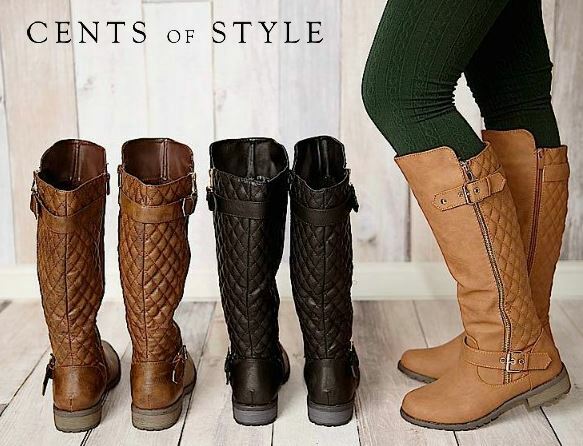 Don’t miss this week’s because they are offering boots on sale for 30% off the original price and FREE Shipping! Use can use code BOOTDEAL at checkout to get this deal. Boots will start at $19.56 shipped and all boots will be under $40, so you can get some really great deals. There are over 25 styles to choose from so start shopping for a pair for yourself and a friend! Offer valid 12/19 only. Shipping is FREE.